16 years after my first trip to Disney, I made the journey back and had one thing at the top of my list. 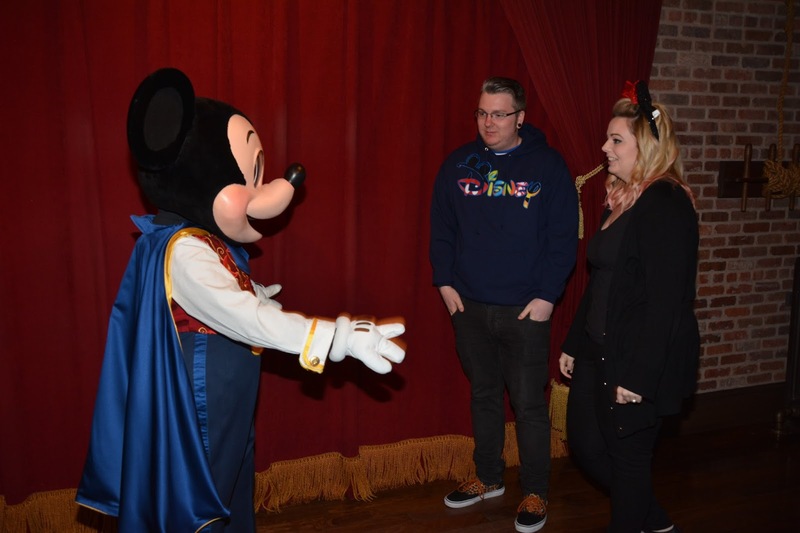 To meet Mickey Mouse. With my childhood dream still very much alive I dragged Stew and myself out of bed at 7am to get to the Magic Kingdom for opening time at 9am. It was crazy busy and the monorail was out of use so we had to climb on a ferry to get across to the park! Once we'd made it through the que's at security and at the ticket gate I was virtually running to the main street theatre! 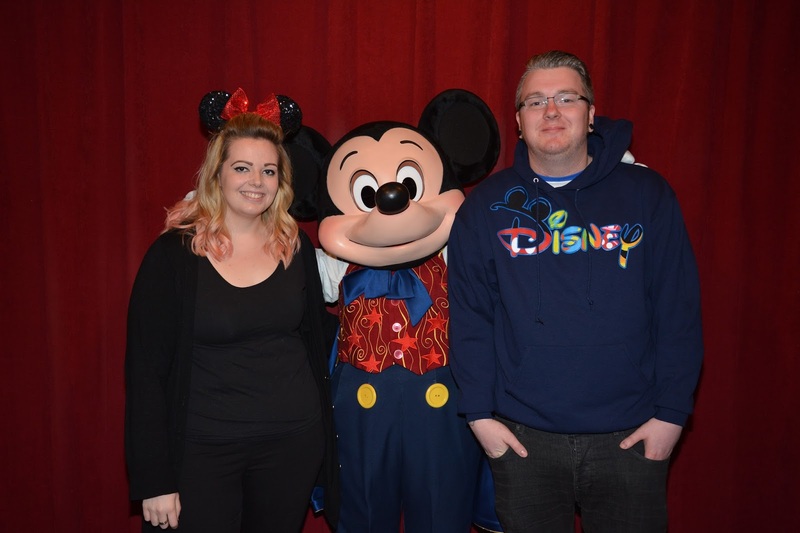 Last time I was at Disney the que time for Mickey was in the 4+ hours so I was expecting a wait, however a 20 minute wait really was the icing on my mouse shaped dreams. The que was full of adults taking their children and us haha! Meeting Mickey was everything I thought it would be, he even told us some Pirate jokes! 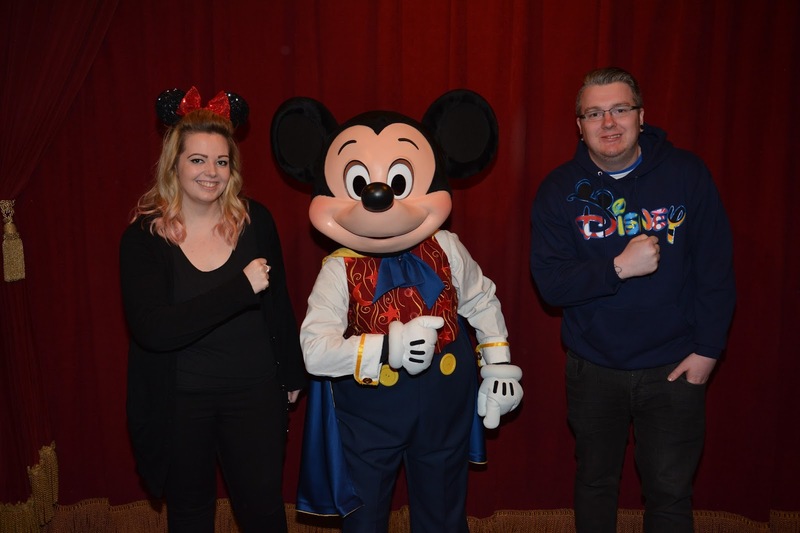 I was a little bit hooked after meeting Mickey so decided to spend our morning in the park meeting as many characters as we could. 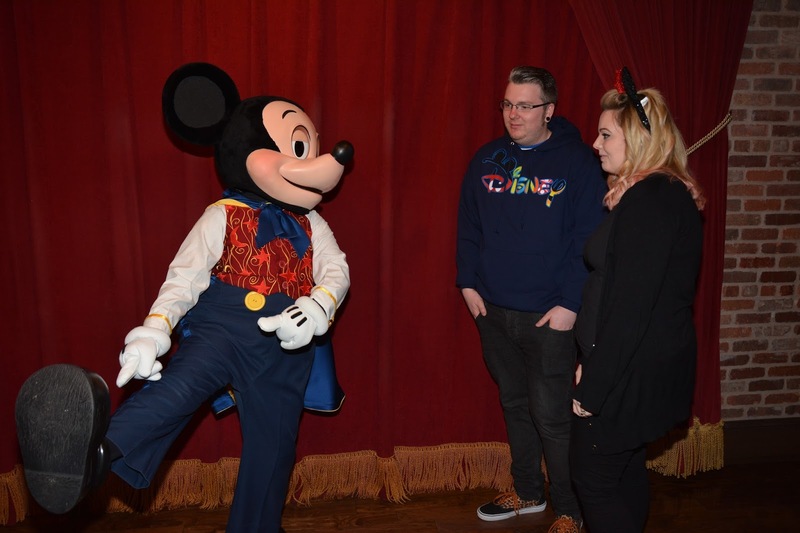 So we took a walk over to Side Show Pete's Tent to see Donald, Goofy, Daisy & Minnie. Again the ques were crazy small and within half an hour we'd met all our childhood heroes! If you've been to Disney who did you meet? awwww lucky you! I want to meet him too!